Follow our free betting tips for Real Madrid vs. Barcelona - Spanish La Liga and you can increase your betting winnings! Real Madrid vs. Barcelona predictions for Saturday’s Spanish La Liga clash at Estadio Santiago Bernabéu (Madrid). Saturday’s El Clasico will be crucial in indicating which of the teams will finish higher in La Liga. Leicester vs Man City predictions for Tuesday’s Carabao Cup 2017/2018 match at King Power Stadium. Manchester City vs. Southampton predictions for Wednesday’s English Premier League 2017/2018 match at Eithad Stadium (Manchester). Follow our free betting tips for Valencia vs. Barcelona - Spanish La Liga and you can increase your betting winnings! Valencia vs. Barcelona predictions for Sunday’s Spanish La Liga clash at Estadio de Mestalla, Valencia. Valencia is one of the genuine giant killers in Spain as they have a reputation of humbling the biggest teams in La Liga. Arsenal vs. Tottenham Hotspur predictions for Saturday’s English Premier League 2017/2018 match at Emirates Stadium (London). Manchester United vs. Tottenham Hotspur predictions for Saturday’s English Premier League 2017/2018 match at Old Trafford (Manchester). Man City vs Wolverhampton - Carabao Cup Preview, predictions for Tuesday’s match at Eithad. Chelsea v AS Roma predictions for their UEFA Champions League - Group G match at the Stamford Bridge (London) on Wednesday 18th October 2017. Liverpool vs. Man United predictions for Saturday’s English Premier League 2017/2018 match at Anfield (Liverpool). Scotland took their chances of making it to the playoffs of the World Cup in Russia by securing a dramatic late win against Slovakia a few nights back. Rep. of Ireland are favorites to beat Moldova at the Aviva Stadium (Dublin) on Friday evening and we're fully expecting Ireland to get the job done in their World Cup 2018 qualifier - Group D.
PSG vs. Bayern München predictions for their UEFA Champions League - Group B match at the Parc des Princes (Paris) on Wednesday 27th September 2017. Atletico Madrid vs. Chelsea predictions for their UEFA Champions League - Group G match at the Estadio Wanda Metropolitano (Madrid) on Wednesday 27th September 2017. Spartak Moskva vs Liverpool predictions for their UEFA Champions League match at the Otkrytie Arena on Tuesday 26th September 2017. Both teams drew their opening match in Group E.
West Ham v Tottenham predictions for Saturday’s English Premier League 2017/2018 match at London Stadium (London). Follow our free betting tips for FC Bayern Munich v VfL Wolfsburg - German Bundesliga and you can increase your betting winnings! FC Bayern Munich (2nd in Bundesliga) will host VfL Wolfsburg (13th in Bundesliga) for their Bundesliga - Matchday 6 clash on Friday 21st September 2017, hoping to bag the 3 points in front of their home fans. On Saturday 16/09/2017, Monaco and Strasbourg will meet at the Stade Louis II. (Monaco) in what should be an intense and emotional match counting for Ligue 1 - Matchday 6. AS Monaco struggled to hold Mario Balotelli who scored twice and more importantly they failed to put together coordinated attacking displays against Lucien Favre’s side and looked like a side missing many of their important attacking players at several points during that match. AS Roma vs Atletico Madrid predictions for Tuesday’s Champions League Group Stage clash at Stadio Olimpico (Roma). Celtic vs. Paris SG predictions for Tuesday’s Champions League Group Stage clash at Celtic Park (Glasgow). Benfica vs. CSKA Moscow predictions for Tuesday’s Champions League Group Stage clash at Estádio do Sport Lisboa e Benfica (da Luz) (Lisboa). West Ham United vs Huddersfield Town predictions for their English Premier League match at London Stadium on Monday 11th September 2017.​. Huddersfield Town remains unbeaten and they are not an easy nut to crack and psychologically there are in a much better situation, under no pressure at all and full of confidence. SV Werder Bremen will face Hertha BSC, who won 12 and lost just 4 of their home matches last Bundesliga season and judging by their performance so far, they are in for a tough time in this match. SV Werder Bremen were unconvincing in their matches against Bayern Munich and Hoffenheim before this match as they lost both matches to nil. AS Roma have a chance to turn their poor Serie A season around when they visit Sampdoria in this match at Stadio Comunale Luigi Ferraris (Genova). Follow our free betting tips for Valencia vs. Atlético Madrid - Spanish La Liga and you can increase your betting winnings! Valencia vs. Atlético Madrid predictions for Saturday’s Spanish La Liga clash at Estadio de Mestalla, Valencia. Valencia is one of the genuine giant killers in Spain as they have a reputation of humbling the biggest teams in La Liga. Everton v Tottenham predictions for Saturday’s English Premier League 2017/2018 match at Goodison Park (Liverpool). Manchester City vs. Liverpool predictions for Saturday’s English Premier League 2017/2018 match at Etihad Stadium (Manchester). Spain are favorites to beat Italy at Santiago Bernabéu on Saturday evening and we're fully expecting Spain to get the job done in their World Cup 2018 qualifier - Group G.
Manchester United vs. Leicester City predictions for Saturday’s English Premier League 2017/2018 match at Old Trafford (Manchester). Chelsea vs Everton predictions for their English Premier League match at Stamford Bridge on Sunday 27th August 2017.​. Scoring the 1st goal was probably the thing for Chelsea FC away from home to Tottenham at Wembley Stadium. Chelsea FC could put their energy on the defensive aspect of the match and this they managed quite well. Bournemouth vs Manchester City predictions for their Premier League match at the Vitality Stadium on Saturday 26th August 2017..
Bournemouth supporters had hoped for 6 points after their 1st 2 EPL matches, vs WBA and Watford. Bournemouth are without points, without a single goal and our tipsters think they have been the worst team in Premiership so far. Hajduk Split vs. Everton predictions for Thursday’s UEFA Europa League match at Stadion Poljud (Split). Everton holds a 2-0 lead on aggregate going into the 2nd match of this UEL round. Steaua Bucharest vs. Sporting Lisbon predictions for Wednesday’s Champions League Qualifiers clash at Arena Nationala. Europe's most decorated clubs will seek to begin the new European season as they ended the last. Real Madrid CF take on Barcelona in the Spanish Super Cup - 16 August 2017. Arsenal F.C. vs Manchester United predictions for Friday’s English Premier League 2017/2018 match at Emirates Stadium. Europe's most decorated clubs will seek to begin the new European season as they ended the last. Real Madrid CF take on Manchester United FC in the UEFA Super Cup in Skopje - 08 August 2017. Arsenal and Bayern Munich will play the 2nd match of the 2017 International Champions Cup in Shanghai on Wednesday 19th July 2017. Mexico takes on El Salvador on Sunday 10th July 2017. Mexico will be big favorites over La Selecta. El Salvador come into the Gold Cup 2017 looking to return to the knockout stage for the first time since 2013. Newcastle United F.C. is back in the English Premier League and reinvigorated by manager Rafa Benitez. Expectations at St James' Park will stretch far beyond mere survival. How good is the England U21 team? 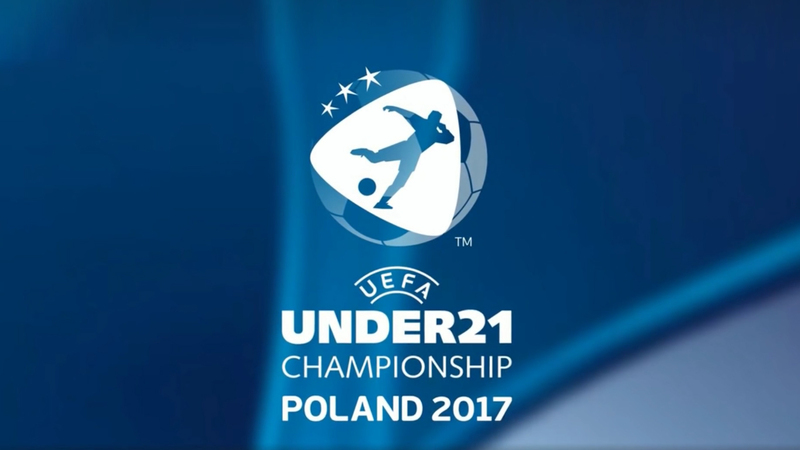 England U21 have not really impressed so far in the UEFA Euro U21, but they are getting better all the time and maybe they will reach their peak when it is time for this Euro U21 semi-final. Germany U21 pretend to be disappointed, after their 0-1 loss against Italy U21. Germany U21 knew of course that the Czechs were struggling against Denmark U21 and losing to Italy U21 and thereby playing the UEFA Euro U21 semi-final against England U21, talk about the perfect scenario for the Germans. As Italy U21 only needed to win their match against Germany U21 everyone concerned, the Slovaks apart, were quite happy playing out the match without much ado.